How does our air inside the house get polluted? Much can be said about proper ventilation, for if we don’t have enough fresh air entering the home, then pollutants can accumulate to levels which can pose immediate health problems and affect our comfort. Materials used in the building such as asbestos, formaldehyde and lead. Usually indoor air quality problems only cause discomfort. Most people feel better as soon as they remove the source of the pollution. Next: How Do we improve the air quality in our Homes? GREAT! You found the right HOUSE. 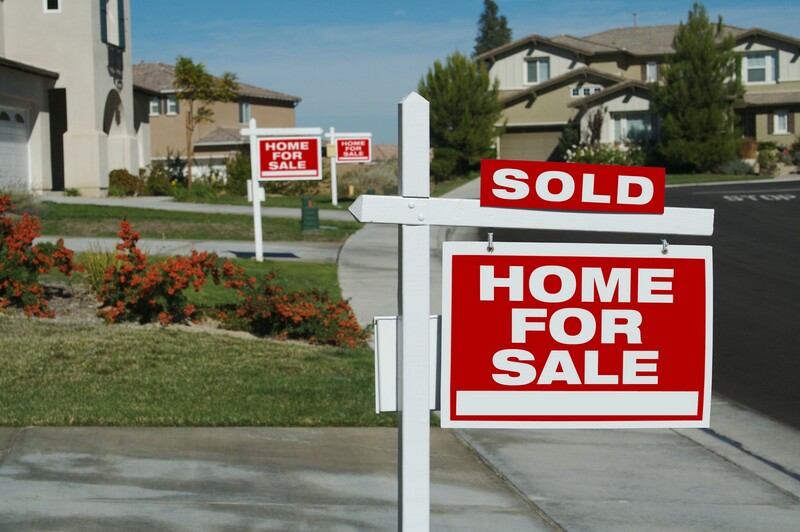 Buying your FIRST HOME it is a very emotional process for most of homebuyers. However, don’t allow your emotions to get the best of you! You may fall into a number of common and high costly home buyer’s mistakes. It’s important to keep your emotions in check to make the best possible decision. Once you’ve fallen in love with a particular home, it maybe hard to go back. Avoid the temptation to get in over your head financially, or the disappointment of feeling like you’re settling for less than you deserve. Start your search at the low-end of your price range, and see what home will satisfy your priorities. Even when you have a long list of must-haves, there are probably several homes out there that can meet your needs. Be open-minded, so you don’t run away from good deals. However, don’t buy a fixer-upper that’s more than you can handle in terms of time, money or ability, and definitely out of your budget. If you have been looking for a while, and still not seeing anything you like, don’t get desperate by overbidding excessively to get into your new house. In a HOT REAL ESTATE MARKET it may be necessary to pull the trigger very quickly if you find a home you REALLY like. However, you have to balance the need to make a quick decision in this kind of market, make sure the home will be right for you, without neglecting important steps like making sure the neighborhood is appealing to you, and it feels safe at night and during the day, investigating also possible noise issues like a nearby train, airports, among others. Taking the time to consider your decision will also give you a chance to research how much the property is really worth and offer a reasonably price for it! Yes! You can get top dollar for your home! In addition to the # 1 rule in Real Estate “Location, Location, Location” there are some other suggestions you can benefit from, to get top dollar for your home! The strategy varies by neighborhood and market conditions, but staging a house to appeal to the maximum number of buyers can make difference in how fast the home sells. Add color to you landscape by either replacing flower beds or potted flowers, along with fresh sod. Replacing light fixtures and plumbing fixtures will give your home a modern touch for a minimal investment. Consider removing popcorn ceilings; however you need to be careful because popcorn ceilings of pre-1979 homes are likely to contain asbestos, and you need someone licensed to remove it. Remove window treatments, unless they are current and high-end. That cuts the risk of turning off would-be buyers who don’t share your taste, and uncovered windows that will let more light into the rooms. If you’re using your dining or a bedroom as an office for example, turn it back to their original use. Replace dirty or worn carpet, you’re better off removing the carpet if there are hardwood floors underneath. Uncluttered your house by packing away items that you will not use on an every day basis is a must. You want the new family to envision themselves living in the home. A deep cleaning before you put your home on the market is a must, so everything shines. Repaint all rooms in neutral colors. A fresh coat of paint also makes the house look newer and more modern. With a few simple, low-cost tweaks, you can significantly enhance your house’s curb appeal. Focus on low cost improvements. Since every dollar counts, devote your time in renovations that’ll bring you a return. Esta el Mercado Hipotecario en el camino correcto? Ocho Bancos nacionales que son, Bank of America, JPMorgan Chase, Citibank, HSBC, OneWest Bank, PNC, U.S. Bank, and Wells Fargo demostraron mejoras en el procesamiento de sus hipotecas con progresos en la prevención de Embargos durante el cuarto trimestre del 2014, mientras que el porcentaje de atrasos en hipotecas y la actividad de ejecuciones hipotecarias también continuó declinando, según el informe trimestral sobre la supervisión de los procesos hipotecarios realizada por la Oficina del Contralor de la Moneda de los Estados Unidos, revelado el pasado Viernes. En el informe que abarcó cerca del 45 por ciento de todas las hipotecas residenciales activas en los Estados Unidos aproximadamente 23.1 millones de hipotecas que incluyen principal e interés totalizaban un total de $3.9 trillones hasta el 31 de Diciembre del 2014. El inventario de las Ejecuciones Hipotecarias declinó en un 39.7 por ciento año tras año en este cuarto trimestre por debajo de 315.022 procesos, y las retenciones de Casas a través de modificaciones incluyendo las que están con periodo de prueba totalizaron 195,577 también en el cuarto trimestre, un descenso del 19.5 por ciento. U.S. house prices rose in January, up 0.3 percent on a seasonally adjusted basis from the previous month, according to the Federal Housing Finance Agency (FHFA) monthly House Price Index (HPI). The previously reported 0.8 percent change in December was revised downward to a 0.7 percent change. The FHFA HPI is calculated using home sales price information from mortgages sold to or guaranteed by Fannie Mae and Freddie Mac. From January 2014 to January 2015, house prices were up 5.1 percent. The U.S. index is 3.5 percent below its March 2007 peak and is roughly the same as the December 2005 index level. This is a great time to sell your home! Negative Equity continues being a Serious Concern Despite Year Over Year Decline! While the percentage of homes in the United States with negative equity has declined substantially since the fourth quarter of 2013, they experienced a slight increase quarter-over-quarter in Q4 2014, according to CoreLogic‘s Q4 2014 Equity Report released last Tuesday. 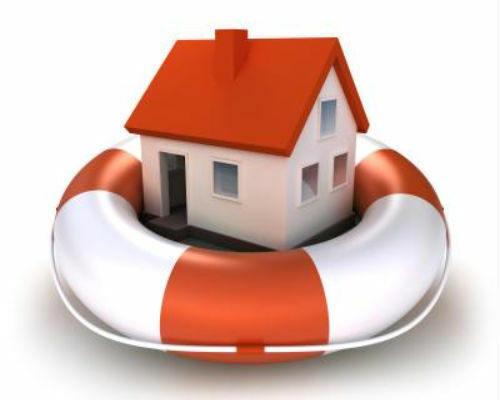 CoreLogic reported that 10.8 percent of all residential homes were underwater in Q4, this is about 5.4 million properties approximately, which was down from 13.3 percent in the same quarter a year earlier. The Q4 total was up slightly from the 10.3 percent that was reported for Q3 2014 – an increase of 3.3 percent. Despite the year-over-year decline in the percentage of underwater residential properties, negative equity remains a serious issue, according to Anand Nallathambi, president and CEO of CoreLogic. For the full year of 2014, 1.2 million borrowers regained equity – but nearly five and a half million properties remained in negative equity as of the end of the year after approximately 172,000 homes slipped into negative equity from the third quarter to the fourth quarter in 2014. Approximately 10 million of the nearly 50 million residential properties with a mortgage in the United States, which is about 20 percent of these properties have less than 20 percent equity, a condition known as under-equitied.